Quick, Senator Udall, bust out some more B.S. on how you are defending Coloradans’ privacy because we’ve got some more bad news on Obamacare that you enabled. As reported by The Washington Times today, the rating agency Moody’s Investor Service has changed its outlook for the entire U.S. health industry from stable to negative. They pulled no punches when they placed the blame and put it squarely at the feet of Udall-backed Obamacare. Wow, that is impressive… impressively incompetent. Not only can Udall and Obama flush an entire industry that comprises over 17% of America’s GDP down the toilet, but they can do it without even accomplishing what they set out to do. 1.2% drop in the uninsured sounds really good, until you realize the percentage of Americans without health insurance in 2008 before this whole Obamacare fiasco started was 15.4%. The ineptitude of Udall and this law is astounding especially when you figure that 16.1% comes after the fact that whole swath of young adults are covered under their parents’ insurance until 26 now. Let’s recap what exactly Udall voted to happen to Coloradans: 1) Higher healthcare costs 2) Higher uninsured percentage 3) Cause one of the largest industries nationally to be put on death watch by rating agencies. If this is how Udall keeps his promises, we’re afraid of what our privacy has coming to it in the near future. Now his son is breaking into cars and getting caught in possession of heroine. Maybe Udall needs to "spend more time with his family". Why would Udall be concerned about healthcare cancellations stemming from Obamacare in Colorado? – He wasn’t at all concerned that he didn’t read this enormously important bill. – He wasn’t at all concerned that he didn’t know what was in the bill. – He wasn’t even concerned that Americans opposed it (Obamacare) by 62.5%; Udall just arranged a telephone town hall meeting where he and his staff pre-screened the attendees to insure he would only hear what he wanted to hear. Problem solved! The next step toward jamming Obamacare down our throats was parroting the talking points. Both Obama and Udall repeated these blatant lies frequently, as did many in their party. – We can keep our healthcare plan if we like it! – We can keep our doctor if we like him or her! – The average family healthcare premium cost will drop by $2,500 per year! Udall still supports Obamacare while we Coloradan’s and American’s still oppose it….and not a single Republican Party member voted for it. WHY? 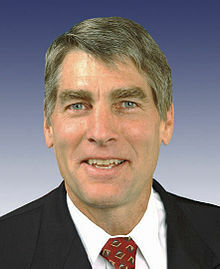 – Maybe Udall’s allegiance is to Obama and his party instead of to us Coloradan’s and American’s. – But hey, Udall and his staff are looking out for us now as we approach reelection. He and his staff are challenging Colorado’s Division of Insurance numbers that reported 250,000 of us Coloradan’s have received healthcare insurance cancellations due to Obamacare. After that challenge, upon further review, that number was increased to 335,000 cancellations. So what do we do with Udall come 11/2014? My thoughts revolve around integrity and honesty, the foundation and basis for trust in all human relationships. Unlike your life or your property, it can’t be taken away from you; by anyone. In order to lose it, you must choose to give it away. Udall, like Obama, has consciously sacrificed his integrity and honesty by placing himself and his party’s agenda ahead of Coloradan’s and American’s wishes. It is clear that we cannot trust Udall so, “FIRE THE LIAR in 2014” and elect a politician who puts us ahead of themselves & their party. Furthermore, Udall continues his silent acceptance of Obama’s lawlessness that strips him of his Constitutional responsibilities to us. Who needs or wants an inept liar as one of our US Senators? This liar has no problem repeating and going along with the lies of the Liar in Chief. Udall is a rubber stamp for Obama.